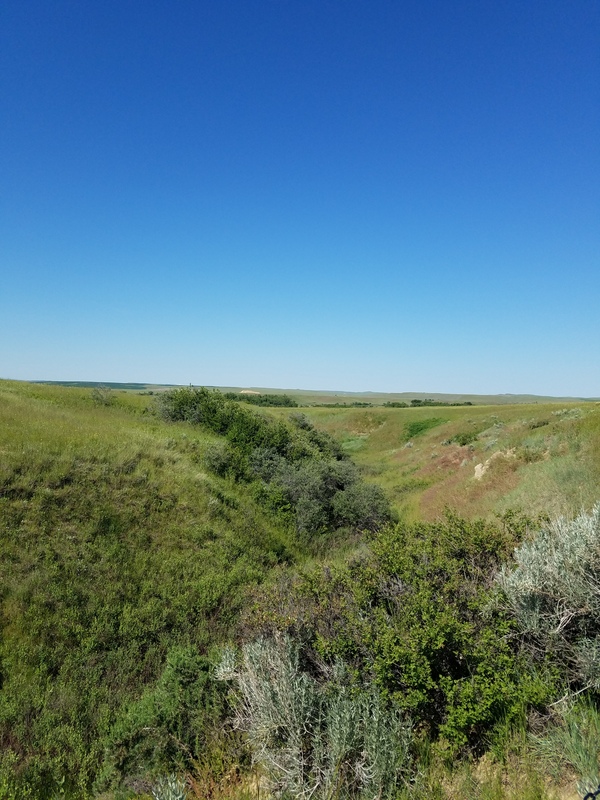 Below Last Stand Hill lies one of the enduring mysteries of the Little Bighorn. A dirt trail allows visitors access to the area called Deep Ravine. Deep Ravine runs from just below Battle Ridge down to the Little Bighorn River. Soldier’s headstones dot the trail on either side. Company E, under Lt. Algernon Smith, fought here. They were known as the “Gray Horse Troop”, for the color of their horses. How they got here has been a subject of debate since the battle ended. Some believe that Smith deployed his men as skirmishers from Last Stand Hill. Others contend that Company E was in the area now occupied by the National Cemetery, witnessed the collapse of Last Stand Hill and made a dash into the ravine in an attempt to reach the river and save themselves. Still, others believe that George Custer led George Yates’ battalion into the ravine while trying to find a ford at the river. Pressure from Sioux and Cheyenne warriors forced Custer back up toward Last Stand Hill and he left the company there as a rear guard. Walking along, I come across a marker for Lt. James Sturgis. The son of the regiment’s commander and Civil War veteran Samuel Sturgis, James served as Smith’s second in command. He was one of three officers from Custer’s battalion whose body was never identified, however, articles of his clothing were later found in the abandoned Sioux village. Out of respect for the Sturgis family, soldiers placed a wooden marker prior to Mrs. Sturgis’ visit to the battlefield. It was later replaced with the current headstone. A little farther and I come to another headstone for Mitch Bouyer. One of Custer’s scouts, Mitch’s father was French Canadian and his mother was Santee Sioux. Bouyer’s remains were identified forsenically and by matching facial bones to his photograph. Continuing on, the ground begins to drop off and I soon lose sight of the Seventh Cavalry monument. At the end of the trail, I reach the ravine walls. Somewhere around me are the bodies of 28 troopers from Company E. Despite numerous archeological efforts through the last 30 years, the ground has refused to yield and they remain where they fell. It is nearing the mid-afternoon and this will likely be the last post of the trip. I am going to hang around until this evening. Visitation begins to slacken and it gets hauntingly quiet. This entry was posted in Emerging Civil War and tagged Battle of the Little Bighorn. Bookmark the permalink. 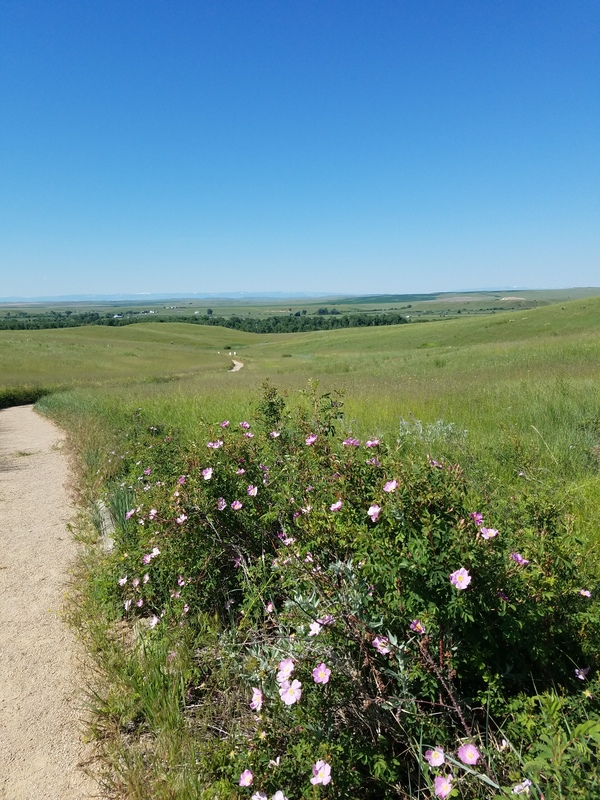 You should check out Fort Phil Kearny and the Fetterman Massacre site while you’re out there. Also, if you travel to western Montana, the Big Hole battlefield is well worth visiting. Thanks for the posts. Unfortunately I could not get to them on this trip. They will ne on the agenda for the next one. Thank you and everyone for reading! Dan: Thanks for the posts. Too bad you didn’t time the trip for mid-August. The annual Crow Fair Celebration is always a worthwhile event. Thank you John for reading.